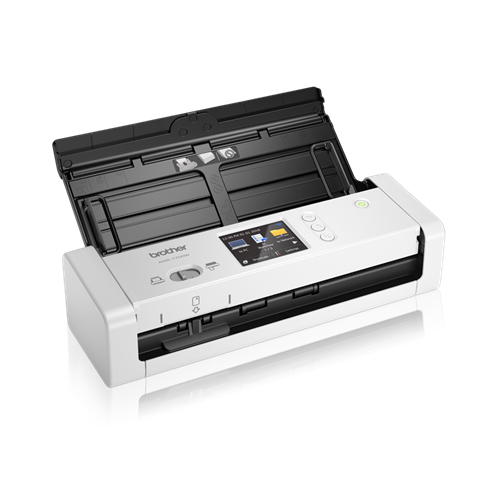 Make everyday document scanning simple with the Brother ADS-1700W document scanner. Paper documents can be easily scanned and transformed into digital files, reducing the amount of paper you have around the office and improving document security. 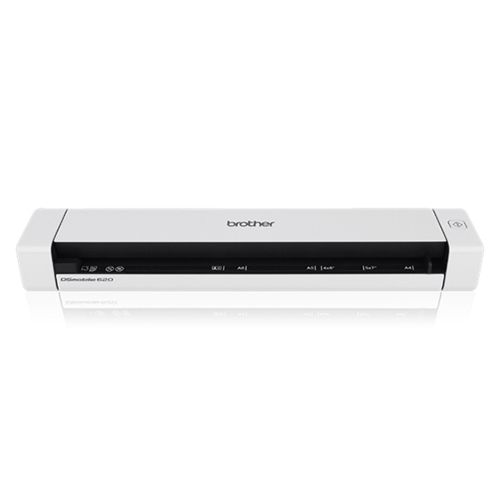 The Brother ADS-1700W Wireless Compact Desktop Scanner offers fast document digitization through wireless networking and an easy-to-use color Touchscreen in a space-saving, portable design. It scans stacks of double-sided, color and black and white documents up to 25 ppm in a single pass with its 20-page capacity auto document feeder. The ADS-1700W supports the scanning of documents, receipts, and photos to multiple destinations including File, OCR, Email, Network, FTP, Cloud services, Mobile Devices, and USB flash memory drive. Scan plastic cards and business cards through a dedicated card slot. 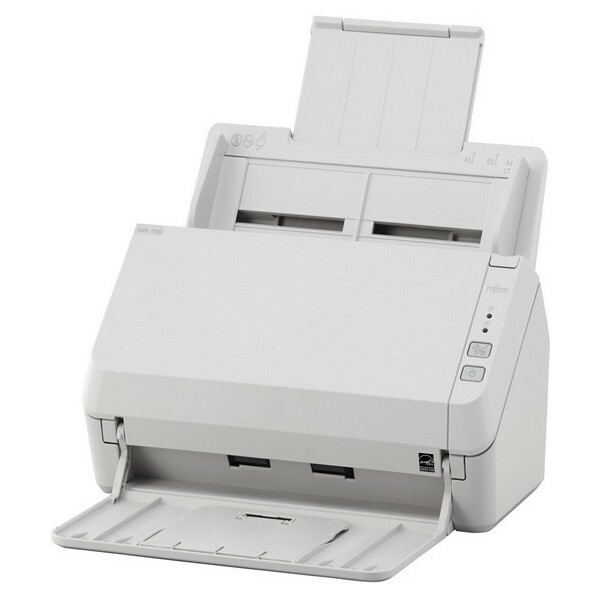 This space-saving compact document scanner is ideal when space is limited. Measuring slightly wider than a sheet of A4 paper, you can free up desk space and reduce clutter. 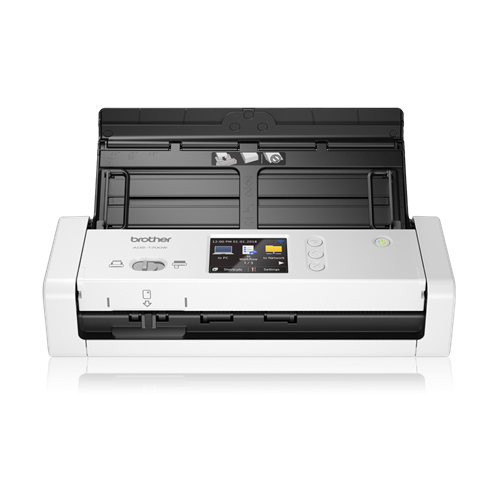 The 20 sheets Automatic Document Feeder (ADF) manages paper up to 128 gsm with ease whilst a dedicated card slot comfortably handles plastic ID cards up to 1.02 mm. Scanning up to 25 sheets per minute, your documents can be saved quickly to file, email server, USB host, network or direct scan to PC. Scan and save your paper documents whilst you're out of the office. 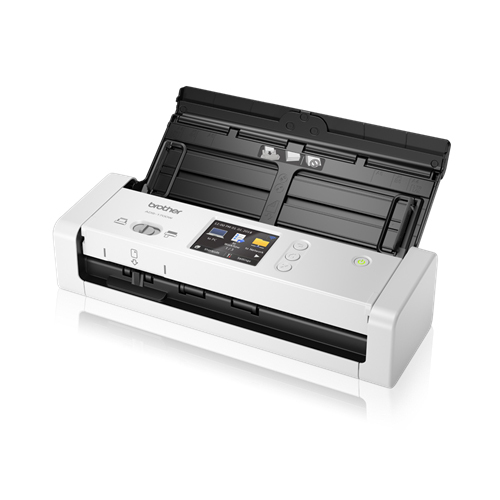 Once plugged into your laptop, you can use the Brother ADS-1700W to scan documents when it's most convenient for you. Scanning to different locations just got easier. Reduce the time you spend on repetitive tasks with auto start scan. 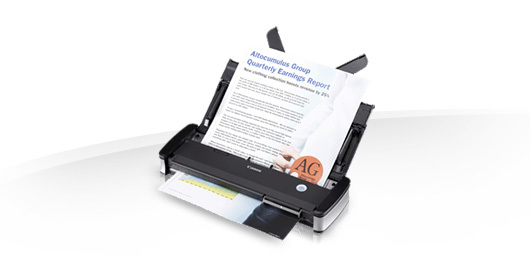 Documents will automatically be scanned as soon as you insert it into the ADS-1700W. Frequently used scan-to destinations can also be set up as one-touch shortcuts on the touchscreen. Easily convert, edit and share documents with Nuance Power PDF and Paperport. Available as standard on the Brother ADS-1700W, you now have the flexibility to make the changes you need. Physical dimensions 11.8" x 4.1" x 3.3"
Fast Scan Speeds. Scans single and double-sided, color and black and white documents in a single pass at up to 25 ppm, all in a space-saving, portable design. Handles a variety of documents automatically. 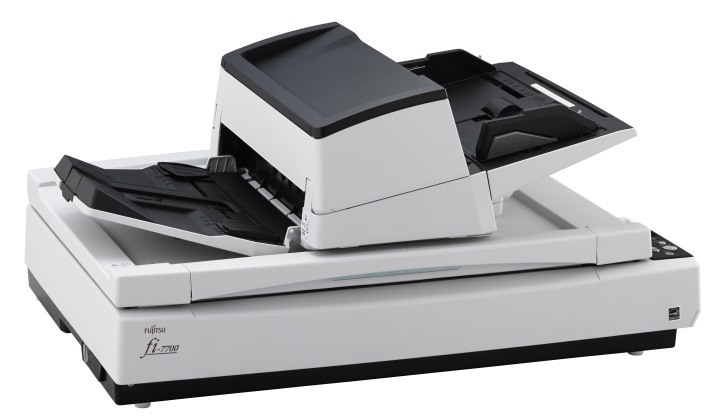 Easily scan documents up to 34" long, receipts and photos through the 20-page capacity auto document feeder. Connect your way. Wireless scanning to PC, cloud services, mobile and network destinations plus Micro USB 3.0 interface for local connections. Compatible with the way you work. Supports multiple "Scan-to" destinations such as File, OCR, Email, Network Folder, FTP, Mobile Devices and USB flash memory drive to help optimize your business processes. Versatile scanning. Dedicated card slot makes scanning plastic cards quick and easy. image rotation (PC only), bleed through prevention/background removal, text enhancement, color drop. Flexibility to support your business processes/system. Supports Windows, Mac and Linux environments and offers TWAIN, WIA, ICA, and SANE drivers. Do more with bundled software.  The included software suite provides document management and OCR software. At your side support. One year limited warranty and free online, call, or live chat technical support for the life of your product.